This property does not offer direct subsidy but has rents and income restrictions affordable to low income households through the Washington State Tax Credit program. Your rent will be based on your qualifying income level between the rents listed below. Accepting Section 8 vouchers. Income limits apply. 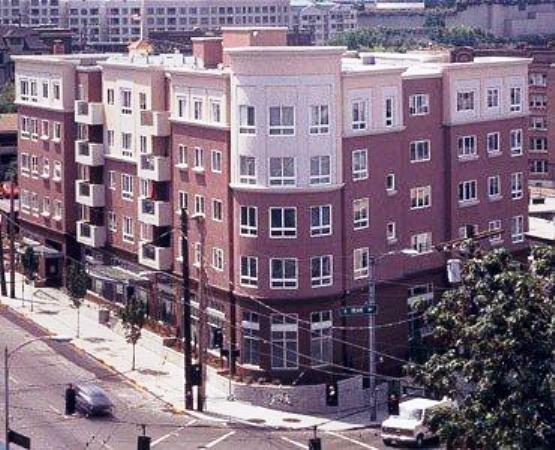 Built in 1995, this modern 5-story building is easily accessible to I-5. Units offer excellent floor plans, easy access to major Metro bus lines, and are within walking distance to downtown shopping, restaurants and theaters. Clean and spacious units, intercom-controlled access, laundry facilities on site, garage parking, and on-site Resident Manager. Income Limit Details: Below WSHFC Tax Credit Income Limits. Serving households earning below 50% to 60% of area median income. Rent Detail: This property does not offer direct subsidy but has rents and income restrictions affordable to low income households through the Washington State Tax Credit program. Your rent will be based on your qualifying income level between the rents listed. Accepting Section 8 vouchers. Income limits apply.